I've been thinking a lot about how people will generally choose beauty over practicality. Just a personal piece on feeling a bit too confident and falling great, great distances... into failure. I think you're amazing Kim. Your color is very beautiful. Cool subject matter. 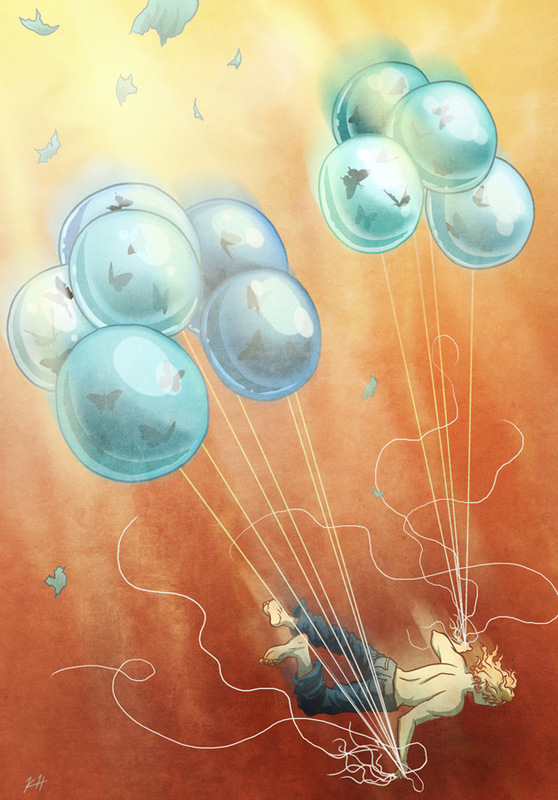 I like the butterflies inside the balloons. Very pretty!